In June I went to Paris. I lived in the sixth arrondissement (district) from June 10, 2014 to June 18, 2014. It was my second time in Paris. The first time I never left the Charles de Gaulle airport. 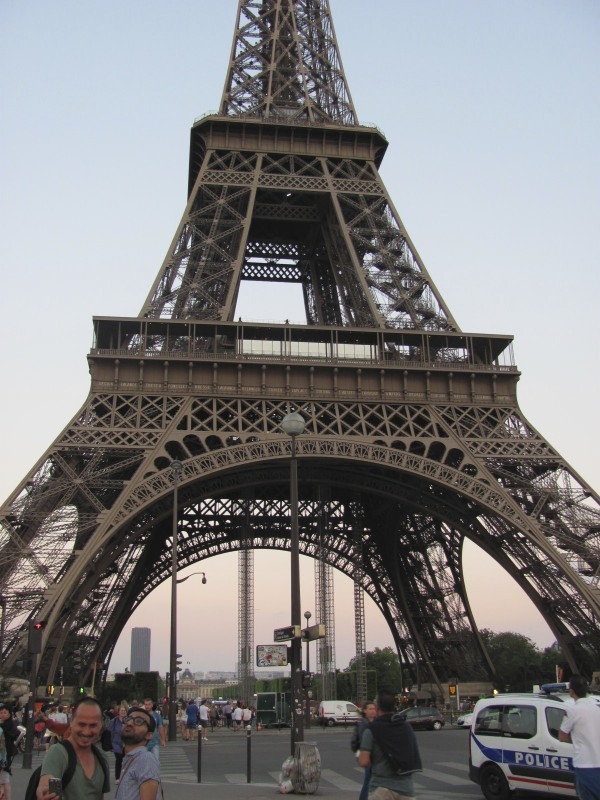 I had dreamed of Paris since the sixth grade when I took French for the first time and all through four years of high school French language, history and culture classes. It was number one on my bucket list. For eight days I strolled the streets, visited famous places and sat for hours in sidewalk cafes eating delicious food and people watching. My friend Peggy and I chose to stay in a small boutique hotel in a regular neighborhood not a touristy area. We saw the same people everyday, ate in the same cafes and used the same metro (subway) and train stops. We felt that we actually lived there even with only a short eight days. We travelled all over Paris from our sixth arrondissement home base. During those eight days, I developed ideas on what makes Paris a great city to be in. I also wanted to visit Paris because Philadelphia is so often compared to it. I felt very at home right from my first day. The Philadelphia Parkway, the long straight boulevard in downtown Philadelphia is modelled on the Champs Elysées. This lead me to walk along the Champs Elysées when I was in Paris.The Philadelphia Parkway is the home of several museums (The Franklin Institute, The Philadelphia Museum of Art, The Barnes Museum, and The Rodin Museum). The Philadelphia Parkway really did remind me of the Champs Elysées. After I returned from Paris, Philadelphia’s current mayor, Michael Nutter, went to Paris in late July for economic talks and to see the Velib bike sharing program, which is the largest in the world. Philadelphia has started a similar bike sharing program. 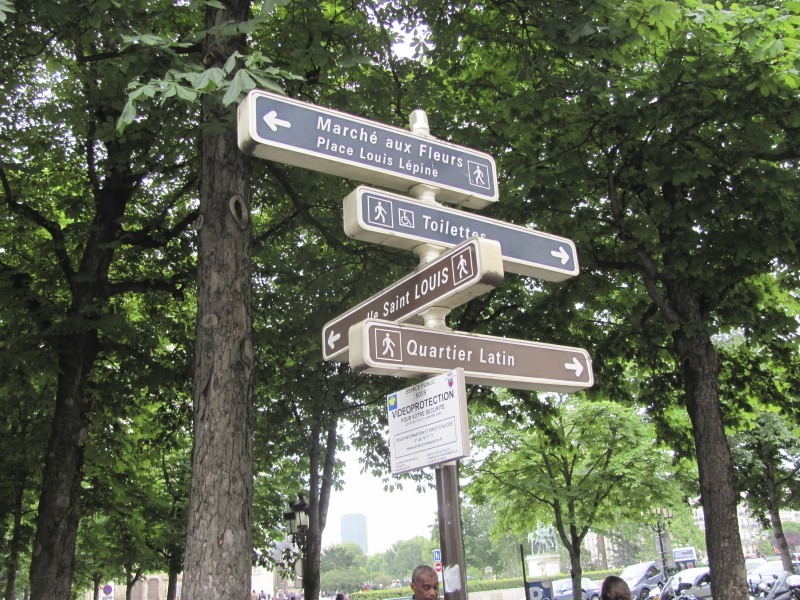 street signs in the Luxembourg Gardens in Paris. Photo by Donna L. Long. For the next four days, I will publish a post a day with photographs and commentary on the green and sustainable things in Paris. I saw things that any village, small town or city can adopt to create a beautiful livable, sustainable city.